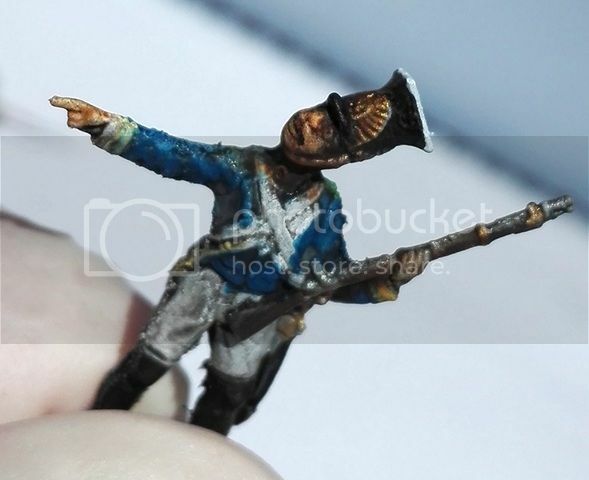 Few years ago I made some hundreds figures of napoleonic wars. I needed this for my work, for historian education. After this, I put napoleonic figures for ling distance from me. Now I have idea to make dio with tbe south part of this battle. Reason is simply: there were in fighting polish troops. But this battle is interesting for one more reason. At historian conference in Kaliningrad/Koenigsberg I was in long discussion about why for Russians is the battle of Borodino, for French - Moscow, and Poles - Możajsk. It was funny and nice talking people in chaince of political corectness . 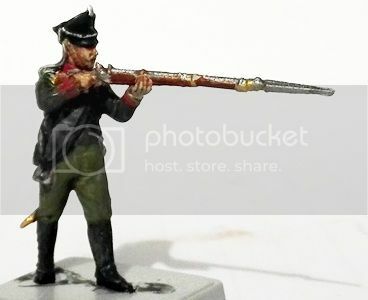 I started painting from Russians jeagers. I used figures of Italeri and Zvezda. 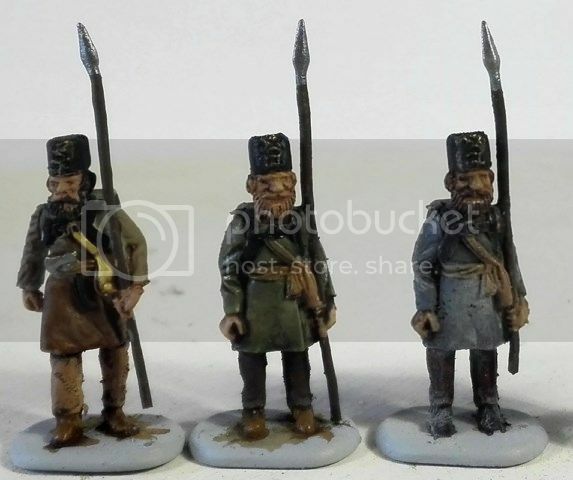 I hope orthodox don't kill me for using Italeri set to make jeagers. This boy looks better than in photo. I must learn paint faces and make good pictures. I know it named as battle of Borodino. I must learn paint faces and make good pictures. If you are hit at the same place your face would look not photogenic too. Wiking wrote: If you are hit at the same place your face would look not photogenic too. Wiking--my face never looks good no matter what angle it is photographed from. What am I doing wrong? 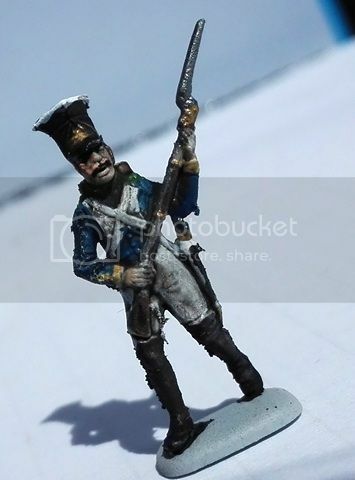 FF--I like your Russians for Borodino. 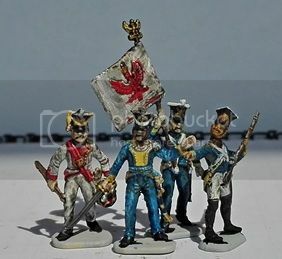 Nice painted figures - I enjoy it! 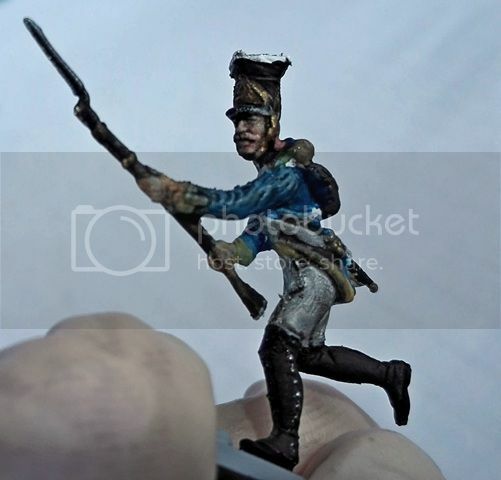 Will you continue the project with other Napoleonics? 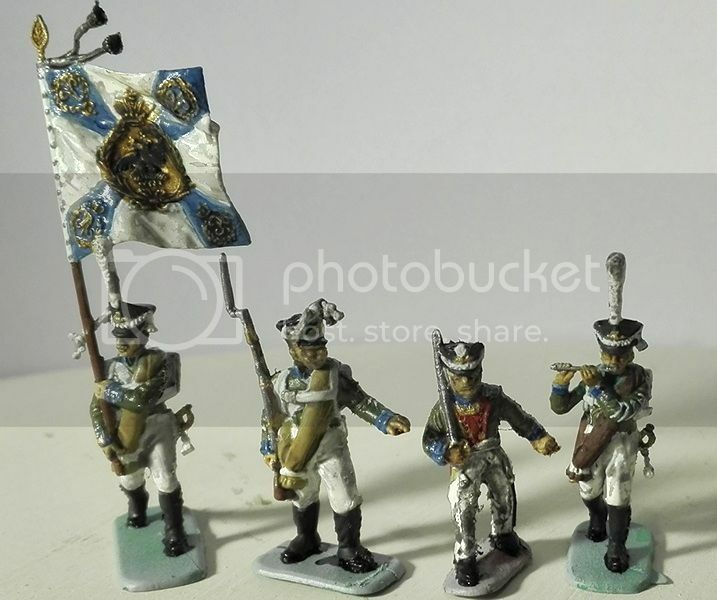 After a long time between "crusaders" in 28 mm. I came back to Możajsk. 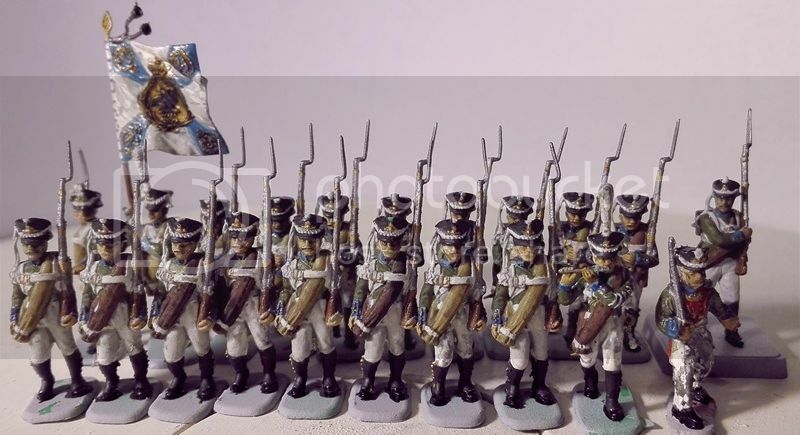 Now, I have pleasure to present you my Tsar Guard Grenadiers. Walking on battle field. I think, I should repair trousers of officer. Grey wash on white, something to train. At back side. 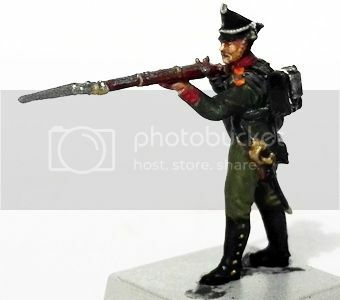 It will be parts of attacking on bayonets and shooting too. 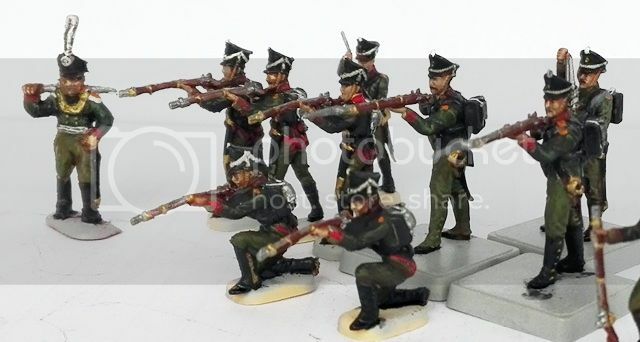 Pavlovs grenadiers, and more Russians troops. 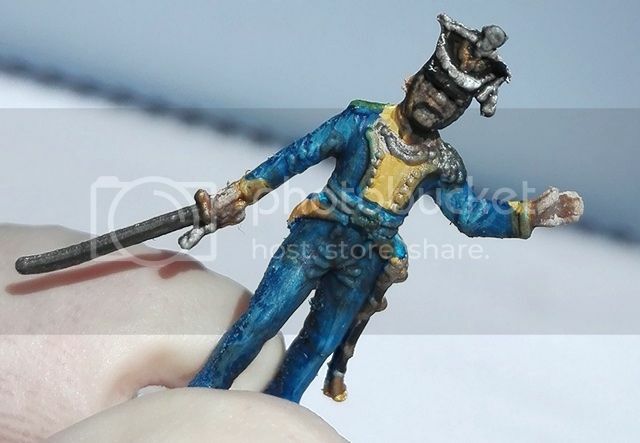 But the first, I will start to paint Polish troops. Fine looking figures, and... I can see that flag rippling in the breeze, that's astonishing! 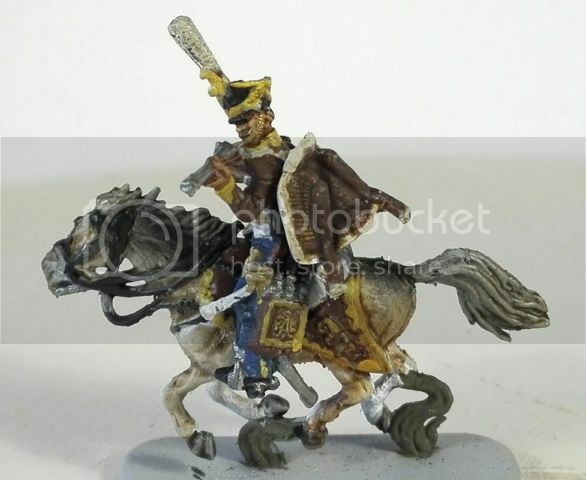 Russian militia and cossacks from south wing of russian army. 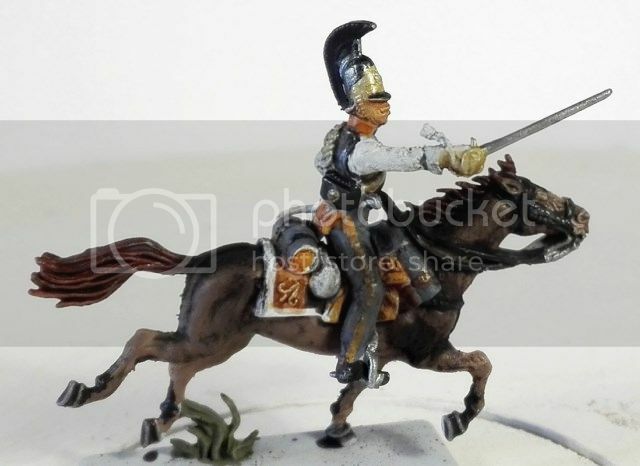 Polish hussars from 13. regiment, called "white" or "silver" hussars. 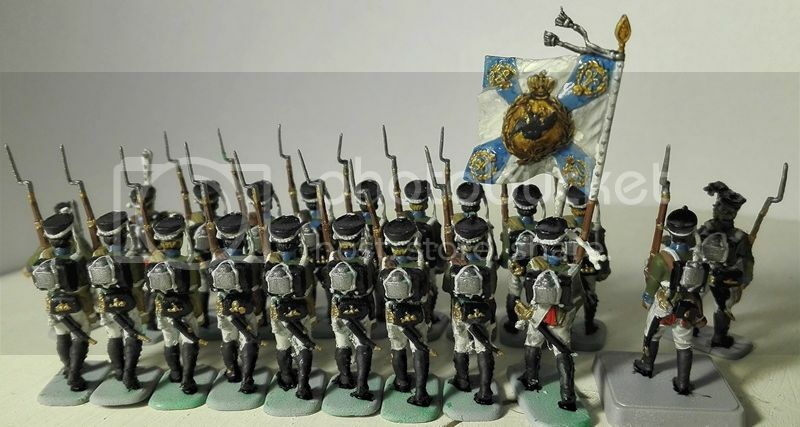 These hussars, and their commander colonel Umiński, as the first came into Moscow in 1812 year. After 200 years, polish soldiers were again in Moscow. 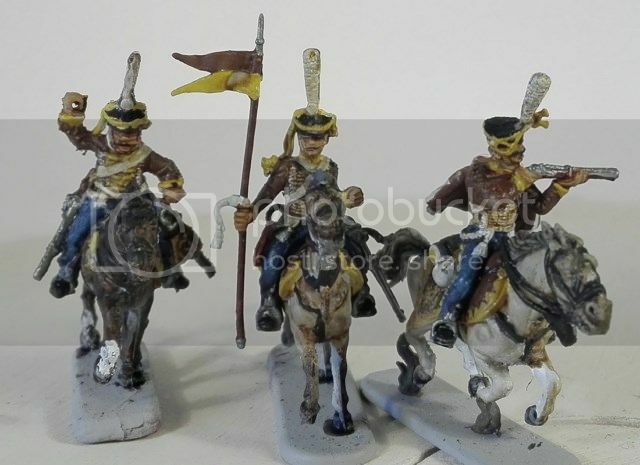 Cuirassiers from regiment Little Russia. In the battle grenadier's company from polish 16. regiment infantry made square against russian cavalry (cuirassiers too). 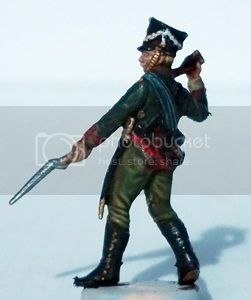 Jan Weyssenhoff, general, chief the staff off 16. regiment infantry wrote in memmories, that grenadiers killed so many cavalry, as dead horses was as the wall around them. "So many colours" - wrote general, meaning colours of collars. Captain Skrzynecki, commander of grenadier's company was decorated L'Ordre national de la Légion d'honneur. Less than twenty years later, for few months was dictator in polish-russian war at 1831. 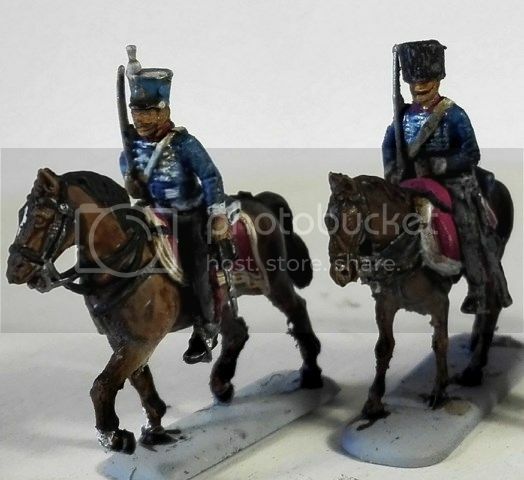 Little update with the polish infantry. Being long way good lights I made photos as you see. This will be part of group infantry of 3. regiment, which was in bad situation, deep in bushes. 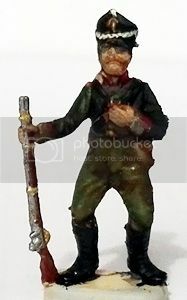 Their commander, colonel Blumer, having smaller forces than Russians around him, formed infantry, and making big noise (drumms, screaming), rushed thru enemy lines. Hmm, do we see some headswaps here? Looks great! Susofrick wrote: Hmm, do we see some headswaps here? Looks great! the Poles constituted most of the French/Allied right wing in Moskowa/Borodino battle. Lots of cavalry, cossacks and militia to face. 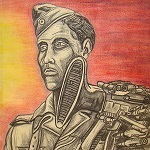 Very curious how your project develops. I like your start!